"Grow old with me. The best is yet to be." Kentucky Animal Relief Fund (KARF), a 501(c)(3) nonprofit organization founded in 2001, is a small network of volunteers committed to the rescue and care of homeless senior dogs. Overlooked and undervalued, seniors stand little to no chance of adoption and are left to face illness, loneliness, confusion, and eventual death at the most vulnerable time in their lives. All dogs rescued by our organization receive veterinary care deemed necessary for health and quality of life. Our goal is to maximize quality of life and to place every reasonably healthy, adoptable dog in a screened and approved permanent home. Unadopted dogs remain in the care of KARF for the remainder of their lives. In an effort to help as many homeless seniors as we can, we also network with other reputable rescue groups. This may include circulating information about a senior in need, taking a senior dog from a local shelter, providing temporary foster care and taking care of any immediate veterinary needs, making transportation arrangements, or providing financial assistance for veterinary care. Our work is based on the simple belief that all senior dogs are worthy of compassion, love, and a life free from pain and suffering. 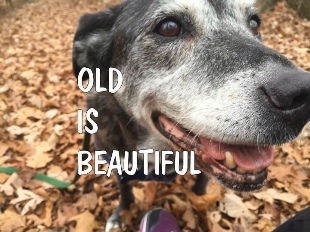 Caring for senior dogs requires a significant and long term financial commitment from this rescue. Most all dogs taken in by KARF have acute or chronic health issues and many will never be adopted. Their long-term care results in significant medical bills that we must deal with on an ongoing basis, but we are committed to giving them the best life we can. If you would like to help us continue our work please make a tax-deductible donation to The Wally Memorial Medical Fund. We have no paid employees so all donations go directly to helping seniors in need. Thank you for your support. Website created by VibrixMedia Copyright © 2015 Kentucky Animal Relief Fund. All rights reserved.